Hide deals from seller "Buffalo Grove Theatres"
Limit 1 per person and 2 per transaction. Valid on a 2-hour game system party for up to 10 people. Valid before or after normal business hours; may be used during the day if a theater is available. Game systems provided; customer must bring games. Food and drinks sold separately; no outside food or drinks allowed. By appointment only. Promotional value expires 60 days after purchase. Let the games begin with 50% off a 2-hour game system party at Buffalo Grove Theatres ($100 value). 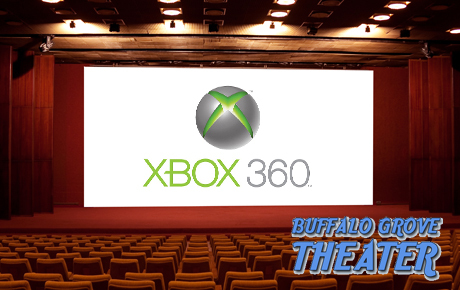 You and your friends can play your favorite Xbox, Wii or PlayStation games on a giant movie theater screen. This popular movie theater has been serving the Buffalo Grove area for more than 20 years. In addition to the hottest blockbusters, they offer a great selection of food and snacks, as well as their exciting party packs. Their gaming parties are a great way to experience your favorite games on the big screen. Whether you want to get together with a few friends or throw an awesome party, Buffalo Grove Theatres will help you get in the game. Movie theater in Buffalo Grove showing new releases and offering video game parties.